Changing the bedding can give your entire bedroom a whole new look. 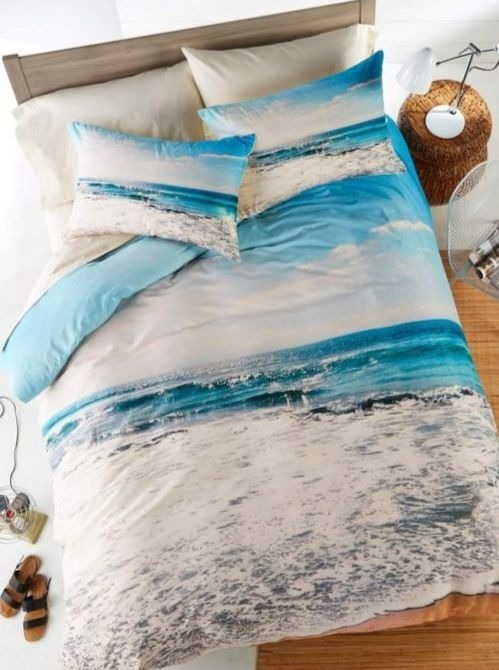 Change it into coastal nautical bedding and you'll have a serene sea infused retreat. 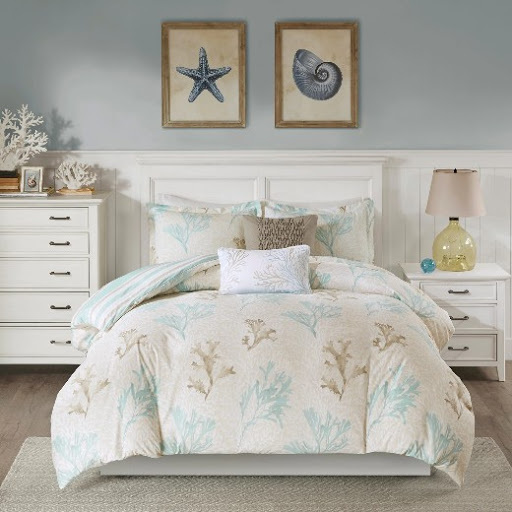 These online sources offer a great selection of beautiful coastal nautical and beach theme bedding that captures the essence of carefree days by the shore. You'll find iconic coastal nautical motifs such as seashells, starfish, coral fans, seahorses, anchors and more, ocean hues and sandy tones and other coastal inspired colors. 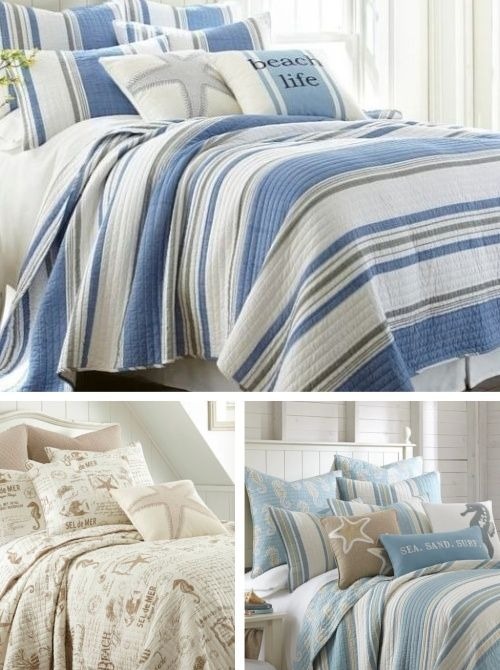 Coastal nautical bedding collections include lovely duvets and many quilt sets. Click on the store links to explore more designs. Scroll & click thumbnail images for more favorite bedding picks from each source. that transports you to the shore. 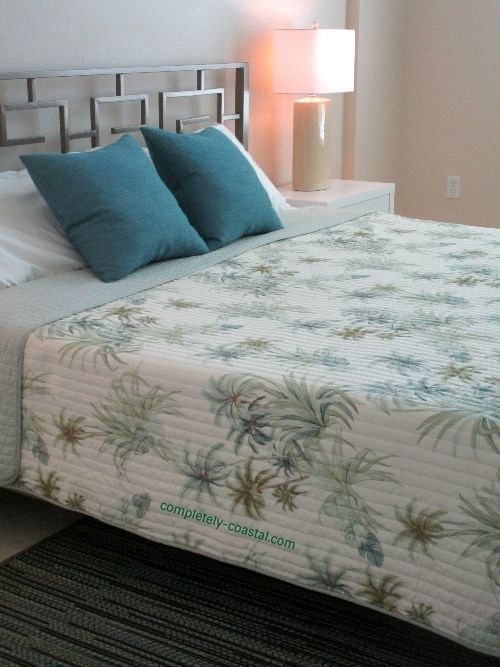 I chose a Tropical Palm Tree Motif for the bedroom in my Sarasota (FL) condo. 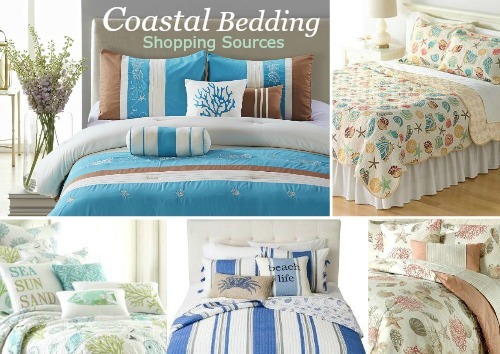 Coastal Bedding to soothe your soul from Bed Bath & Beyond's Coastal Collection. Calm and understated Harbour House Bedding Collection at Bed Bath & Beyond includes cotton duvet covers, shams and quilt sets. Imagine slipping under these covers from Wayfair's Bedding Collection. 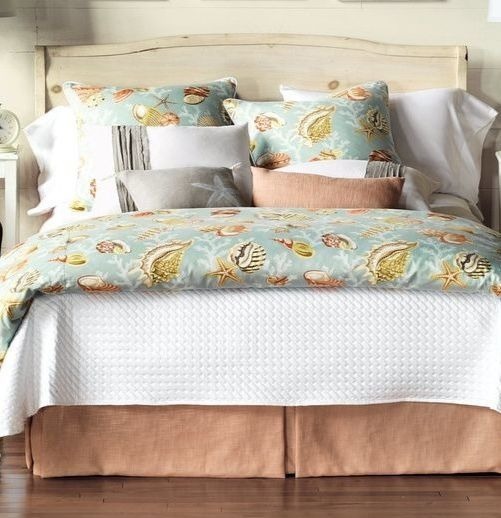 Coastal Seashell Quilt Set from Beachcrest Home's Bedding Collection. Seen in a Coastal Cottage Style Home. 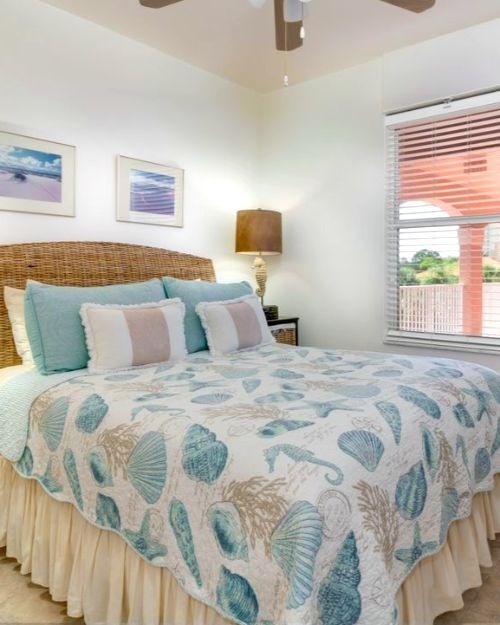 Coastal Seashell Quilt from Highland Dunes Bedding Collection.Seen in a home featured on Beds & Headboards for Coastal Decorating. 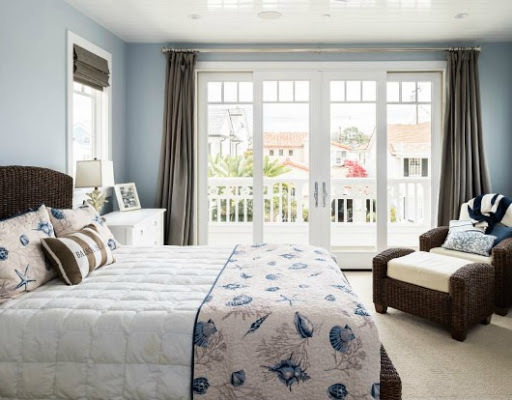 Three sumptuous coastal designs from Pottery Barn's Coastal Bedding Collection. 200-thread count cotton duvet covers with matching shams. Sophisticated Coastal Luxury Bedding from Eastern Accents made in the USA. 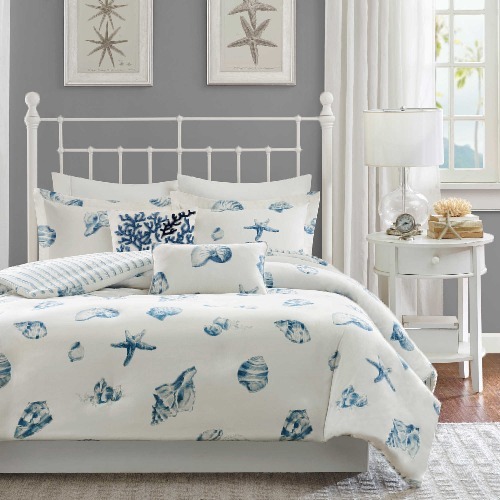 Favorite designs from Kohl's Coastal Bedding Quilt Set Collections made from cotton. 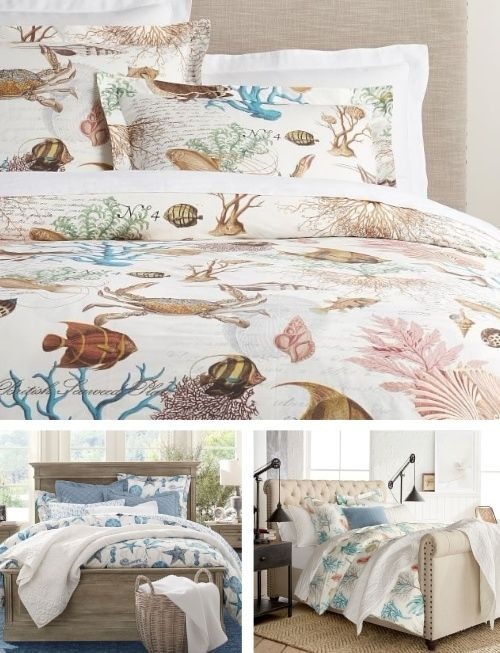 Under the Sea Print Bedding from Williams Sonoma's Bedding Collection. Made with 200-thread-count organic cotton percale. 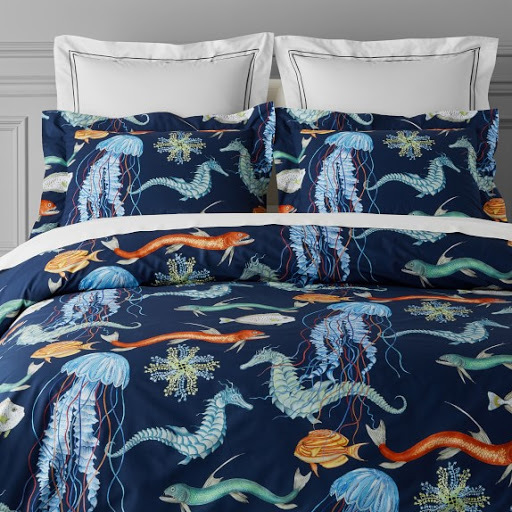 Dive on in with Ocean Theme Bedding by Deny Designs. 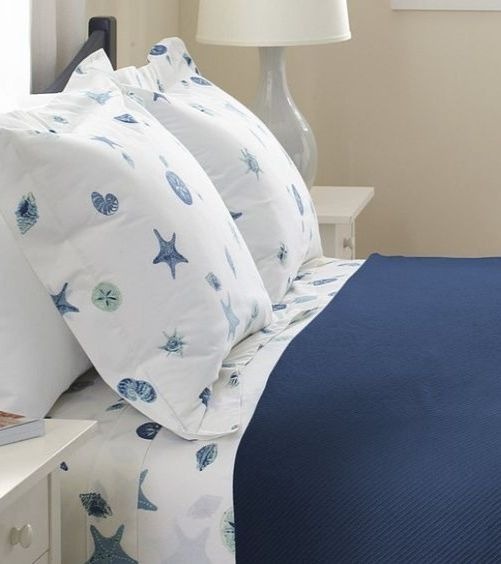 Coastal nautical bedding that will prompt many sweet dreams of sun, sand & sea!